I have made a few discoveries about myself and crafting recently. 4. All of the above fills me with guilt. That being said, I had decided that once again I wanted to take part in JYC again this year. But before I could prep 2011(blog post on that to follow) I wanted to make a big effort to complete my 2010 album. 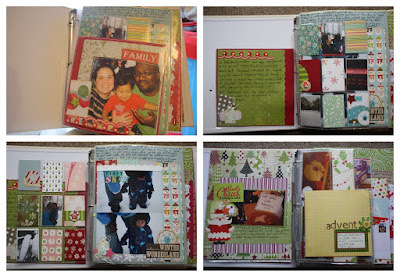 I had done a lot of the journalling in a notebook for the season. 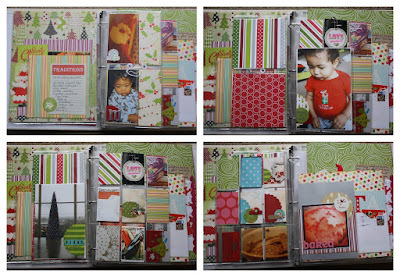 I wanted to combine my notes with my photos and my Christmas Stash. So out it came and I spent one afternoon / evening finishing my album. I am so pleased I was able to finish my album. Here are a few pics of my finished album. 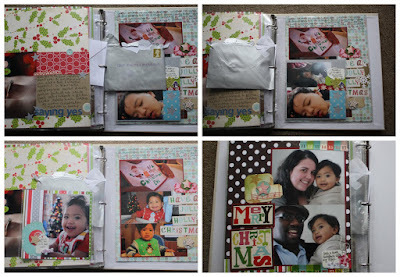 Throughout the album I added envelopes which I put the pages with my original journalling in. 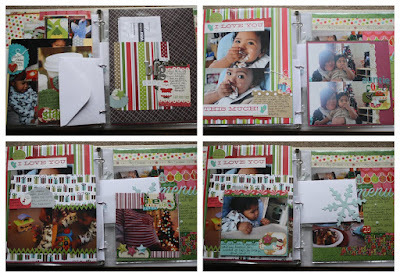 I added pages of just a single photo, or a bigger layout with journalling. 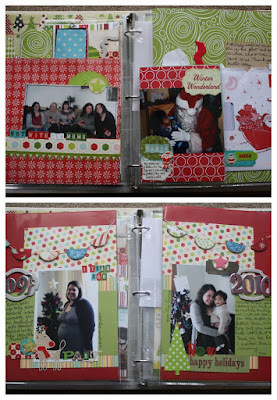 I included some reciepte, handwritten enevlopes & even a decoration off the tree. 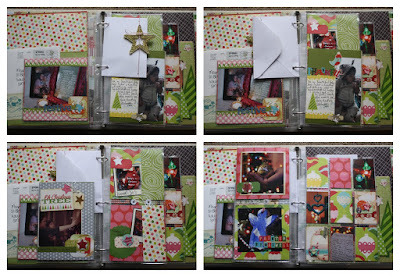 Just a quick note as well, I've posted a quick project over the fiskars blog. 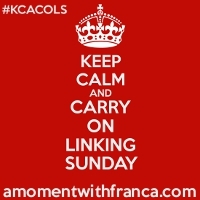 Drop by and take a look. you already know I think this album is totally gorgeous - it really is!